Ethel Bartlett 1896 – 1978 and her husband Rae Robertson (1893-1956) were a famous piano duo travelling throughout the UK, Europe and America. Ethel and Rae became close friends of the Knights often playing musical soirees in Laura Knights studio in their home in Langford Place, London during both the 1920’ s and later. 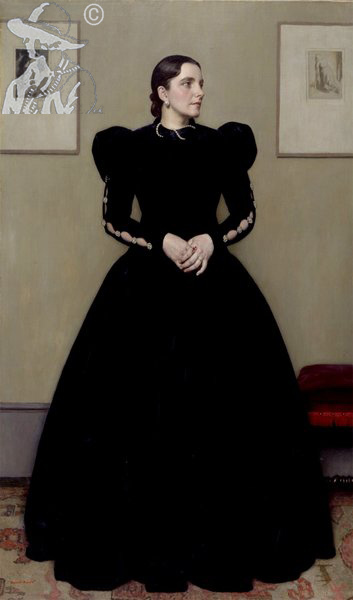 Harold painted many pictures of Ethel exhibiting seven different works at the Royal Academy.